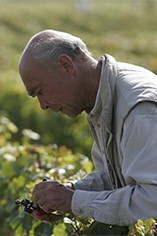 The Domaine purchased most of the 6.06 hectares La Tâche in 1933, completing the vineyards by exchanging small plots in Les Gaudichots. It stretches from the top to the bottom of the mid slope band which contains the grands crus, thus covering a complexity of terroirs. It is a more flamboyant wine than Romanée Conti but needs a minimum of 10 years for all its aspects, including the tannins, to integrate. 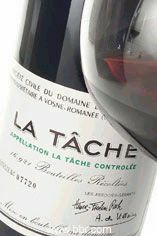 The Wine Advocate - Domaine de La Romanee-Conti's 2006 La Tache possesses a sense of sheer density and a viscosity by no means precluding energy	that go beyond the other wines in the Domaine's current collection. Scents of bitter-sweet floral perfume, citrus oils, white pepper, peat, and black fruit distillates pungently, almost aggressively fill the nose. The marrow and beef gelatin aspect of this Pinot is salient, but is allied on a palpably tannic palate with similarly impressive concentrated cooked black fruits, dark mushroom stock, forest floor, smoky Lapsang tea, and licorice. For grip and power, too, this surpasses its stable mates. But a glance back at the Romanee-St.-Vivant suggests that you can't have it all, and that this La Tache cannot approach that wine's finesse or quite equal its mystery. Still, I suspect this will be worth following for at least two decades.